tank) I've gotten the algae to not move but I'm worried this will be repeated. Is this common? Did I not pack the mud hard enough? Any ideas? Should the mud fluff up like this? I'm thinking of moving to some aragonite substrate instead since I can't see in my tank. Just a couple extra questions. 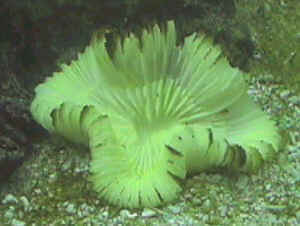 On your site at http://www.wetwebmedia.com/ca/volume_6/volume_6_3/refugiums.html the article says Chaeto should tumble (Optimal flow rate depends on what you want the refugium to do. If you are looking at culturing Chaetomorpha algae then you have to have sufficient flow to make it tumble, otherwise your results will be disappointing. If I attach it or some how make it not tumble how much of an negative effect will it have if any, how disappointing will it be. If I go the other route and cover the mud with something would aragonite sand/live be a good choice and if so how thick would be good. 1/4 inch, 1/2 a inch or maybe a full inch? Would this make the mud not work as efficiently and would it be worth it to keep the mud. And lastly if I'm doing this so the Chaeto grows and eats nitrates and grow a few copepods is mud the right choice or is no substrate or aragonite live sand a better choice. P.S. Can coral or clams etc die from a tank gone cloudy from refugium mud?